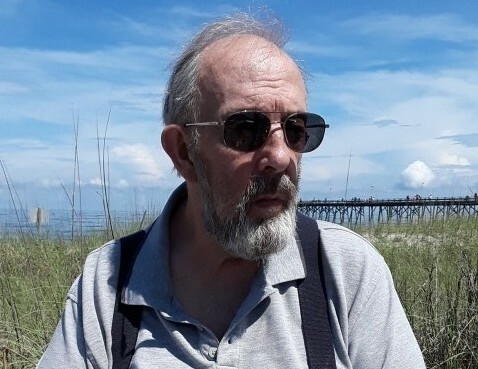 Robert “Bob” Mills, Sr., 75, husband of Sharon Fraser Mills, of Taylors, passed away on Saturday, April 6, 2019. Born in Niagara Falls, NY, he was a son of the late Jacob E. and Lorainne Morley Mills. Mr. Mills served in the United States Marine Corp. He retired as a produce manager for Kroger and loved to spend his time reading and watching sports. In addition to his loving wife, he is survived by two sons, Chris Mills (Jeanie) and Robert “Bobby” Mills, Jr. (Becky); four grandchildren, Cody, Seth, Lauren, and Jacob; and one brother, Claude “Skip” Mills (Mary). Memorials may be made to Shriners Hospital, https://www.shrinershospitalsforchildren.org/shc/donate, or a Veteran’s organization of your choice.